→ Action Comics (1°) #684 (12/92) Superman - (1992 - 48) The Death Of Superman Part 5 : ...Doomsday Is Near! → Action Comics (1°) #686 (02/93) Superman - (1993 - 8) Funeral For A Friend Part 6 : Who's Buried In Superman's Tomb? → Adventures Of Superman (1°) #500 (1) (06/93) (1993 - 11) Life After Death! → Superman (2°) #74 (12/92) (1992 - 46) The Death of Superman Part 3 : Countdown to Doomsday! 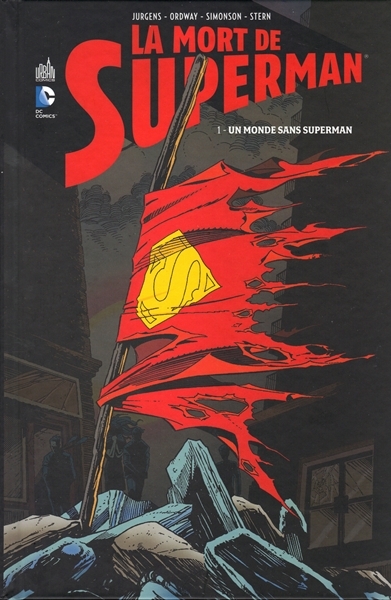 → Superman (2°) #75 (01/93) (1993 - 2) The Death of Superman Part 7 : Doomsday! → Superman: The Man Of Steel #18 (12/92) (1992 - 45) The Death of Superman Part 1 : Doomsday! 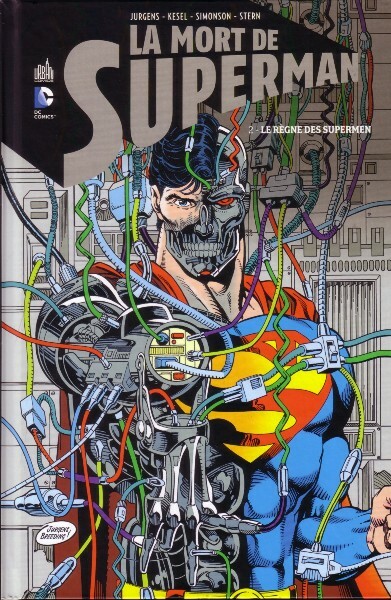 → Superman: The Man Of Steel #19 (01/93) (1993 - 1) The Death of Superman Part 6 : Doomsday Is Here! → Action Comics (1°) #689 (07/93) Superman - (1993 - 20) Reign Of The Supermen Part 9 : Who Is The True Hero? → Action Comics (1°) #692 (10/93) Superman - (1993 - 32) And Who, Disguised As Clark Kent ? → Adventures Of Superman (1°) #501 (1) (06/93) (1993 - 15) Superboy - Reign of the Supermen Part 4 : The Adventures of Superman... When He Was a Boy! → Adventures Of Superman (1°) #503 (08/93) (1993 - 23) Reign of the Supermen Part 12 : Line of Fire! → Adventures Of Superman (1°) #504 (09/93) (1993 - 27) Reign of the Supermen Part 16 : Assault on Engine City! → Adventures Of Superman (1°) #505 (10/93) (1993 - 31) Reign of the Superman! → Green Lantern (3°) #46 (10/93) Reign Of The Supermen Part 19.1 : Death City Blast Off! → Superman: The Man Of Steel #23 (07/93) (1993 - 17) Reign of the Supermen Part 6 : Ambush ! → Superman: The Man Of Steel #24 (08/93) (1993 - 21) Reign of the Superman Part 10 : Impact! → Superman: The Man Of Steel #25 (09/93) (1993 - 25) Reign of the Supermen Part 14 : The Return! → Superman: The Man Of Steel #26 (10/93) (1993 - 29) Reign of the Supermen Part 18 : Blast Off !